Vern Burkhardt (VB): How did you become interested in the topic of innovation? Stefan Lindegaard: I have always been an entrepreneur having started 4 companies. One of these ventures led me to interesting interactions with a corporate venture unit in a large Danish company, and since then I have really enjoyed working with corporate innovation. VB: In reference to the disruptive innovation training Clayton Christensen gave at Intel, you quote former CEO, Andy Grove, as saying it gave them a common language and way to frame a problem "so we could reach consensus around counterintuitive courses of action." Is this a good definition of innovation? Stefan Lindegaard: What is the right definition of innovation? If you ask 10 different people, you will get at least 5 different variations. I advise companies to develop their own definition and it should fit the specific issues at their company. Once they have developed such a definition, they can begin to build a common language internally and for use with their external stakeholders. This will make it easier for them to understand and communicate about what they are trying to do. This was a key benefit that Intel got out of working with Clayton Christenson. VB: Open innovation can be more than co-development where two companies have a formal relationship to share R&D, intellectual property, or joint marketing approaches. What do you consider open innovation to be in the context of your book, The Open Innovation Revolution? Stefan Lindegaard: I find it somewhat dangerous to define innovation and thus I often use a broader explanation. Open innovation is about connecting internal and external resources and exploiting the opportunities that arise from this interaction. Hopefully, companies can use this as inspiration to develop their own definition of open innovation. This might sound a bit strange to many, but we are already seeing the end of open innovation. The most mature open innovation companies no longer distinguish between internal and external innovation. It is just innovation. Getting to a level where you simply view external contributions as a natural element of an innovation process has to be the endgame for all companies. They need to have this in mind when they work on their corporate definition of innovation, and not assume that "open" innovation is for other companies. VB: What trends are occurring with open innovation that you find most interesting? Stefan Lindegaard: I am quite interested in the role social media tools can have in building stronger corporate innovation capabilities. Companies that want to become strong at innovation need to bring more attention not only to their products and services, but also to the units that actually develop them. This ties into open innovation as one of the key objectives is to become a preferred partner of choice within an innovation ecosystem. One of my services is to help companies grab what I call innovation leadership positions. Tools like blogs, Twitter and LinkedIn are a key to make this happen. Another interesting trend is how to build better and stronger relationships. This is not new as such, but I like how companies have begun to focus more on how they can combine virtual and real life interactions. Intuit and their Intuit Collaboratory website is a good example of this. VB: Does it surprise you that open innovation is not a hot topic at every company that is serious about innovation? Stefan Lindegaard: Hmm, of course I don't know all companies that are serious about innovation, but among those I do know open innovation is, if not a hot topic, definitely a topic that gets lots of interest. This seems to be the case even in more conservative industries that have higher barriers to adopting open innovation. These industries are characterized by high capital investments, long product development cycles, and stronger focus on IPR issues. Yet, even innovation directors in such industries are trying to figure out how they can embrace open innovation. VB: If you were the CEO of a company would one of your primary goals be to establish a networking culture? Stefan Lindegaard: Yes, but it is important to know that you shouldn't network without a purpose. A company needs to identify the strategic reasons for building a networking culture, and it needs to figure out how it can benefit from this. This is no different at the individual level. We all seem to be busy individuals so we need to be careful about our most important resource, which is time. Networking, if not done right, can consume lots of time without giving a proper return. VB: You say, "…only about 10 percent of all companies are adept enough at open innovation to get significant benefits." In your experience are those companies also the most innovative and financially successful? Stefan Lindegaard: Not necessarily. Some companies are very successful even though they don't embrace open innovation as wholehearted as others. But when you look at the "others" your see that open innovation can bring advantages based on a stronger corporate innovation capability, and this can make a difference in the long run. VB: Does the ratio of 10 percent being "champs" at open innovation, 30 percent being "contenders," and 60 percent being pretenders apply in Denmark and the rest of Europe? Stefan Lindegaard: No, I am sorry to say that Denmark is doing a very poor job with open innovation, and this also seem to be the case in several other European countries. Some exceptions are the Netherlands and Germany where I see the most interesting open innovation initiatives in Europe. But taking a broader view, Europe is definitely lacking behind the United States on this innovation front. VB: Do you foresee the 10 percent figure increasing rapidly in coming years in companies in the developed and the developing countries? Stefan Lindegaard: Yes. One key reason is that the current open innovation leaders are very keen on sharing their experiences and insights with their community. There is a good understanding that everyone in the open innovation community can benefit from increased attention, and thus we have very open knowledge sharing at conferences and elsewhere. VB: Do you foresee open innovation taking off in Denmark any time soon? Stefan Lindegaard: No. I think a key reason is that Danes are somewhat reluctant to bring outsiders into their trusted circles. It takes a while to get new ideas and proposals "approved" and, as no one has too much time at hand, Danish companies risk that they will lose potential partners to companies in more open-minded cultures. VB: "…small or mid-sized entrepreneurial firms…are increasingly the locus for important innovation." What is the implication of this for global competition? Stefan Lindegaard: Small and mid-sized companies have always been the center of almost all economies. I think these companies stand to benefit when the large companies embrace open innovation as they will have a need for more partners. The ecosystems grow, and this should create even more opportunities for all. However, open innovation as we see it today is primarily driven by large companies, and smaller companies often need to find their role in ecosystems that are controlled by these larger companies. They will not be in the driver's seat. VB: You refer to an "innovation strategy." Should it be a key part of a company's business model? Stefan Lindegaard: It should be part of a company's overall corporate strategy. If a company wants to reach specific goals within a certain time frame, the role of innovation must be worked in this. It will then trickle down and help define the business models of the company. VB: You observe that senior executives are often major roadblocks to innovation and that one of the ways around this is for innovation leaders to not start too many innovation initiatives at once. Is a major risk to the success of innovation initiatives that senior executives often lose interest because of other pressing pressures resulting in these initiatives, especially if involving open innovation, facing a slow but sure death? Stefan Lindegaard: Executives are often impatient when it comes to innovation. They want to see early results and, more importantly, they want to be able to measure progress as the projects move along. This is not always possible and it can create friction between executives and the innovation leaders. One way to get around this is to start fewer, but bigger and more focused projects. This does not mean that companies should not experiment and try out many ideas in the early stages. It still needs to happen, but at some point they need to decide on which projects they believe in and then throw full support at these. VB: "Many organizations have not mastered the ability to innovate across different business areas internally, let alone doing so with outside partners." Before attempting open innovation should companies sort out their internal silos, or can open innovation be a catalyst for addressing this all too common phenomenon? Stefan Lindegaard: Many companies have difficulties making innovation work internally, and it is very naïve to believe that going open and external will just make these difficulties go away. One key reason is that external significantly increases the innovation complexity. There is a lot of talk about silos and how they can affect innovation. Do you need to break those silos down in order to create an environment that is better suited for innovation? I do not think so, as long as you have a separate setup for breakthrough innovation and then let the silos – or the traditional organization – handle the more incremental innovation. This is very much about establishing processes and executing those processes well. VB: In The Open Innovation Revolution you identify 9 qualities of innovation leaders and "intrapreneurs." Should companies be looking for these qualities in all people they are hiring if they wish to be successful in the 21st century? Stefan Lindegaard: I don't think you can get all 9 qualities in all of your employees. The message here is that companies need to understand they need a different mindset and new skills for the future of innovation. It's becoming increasingly faster, more open, and more global. They need to setup processes that can identify and develop such people that can take their innovation efforts to the next level. VB: "Becoming an outstanding innovation leader, especially in a complex open innovation environment, is about more than just mastering the processes and techniques of innovation." You provide advice about the necessary personal skills required, two of them being the ability to know one's values and behave accordingly in their organization, and having a strong, positive personal brand. Have you considered becoming a personal coach for aspiring innovation leaders? Stefan Lindegaard: I really enjoy working with innovation leaders and we often get into more personal topics in my network groups. I also offer strategic sparring to innovation leaders and this often involves more personal issues as well. So I would say that I already do this to some extent. VB: Would you recommend that companies wishing to implement open innovation give serious consideration to a start up subsidiary that can be more "light a foot" and less established in traditions, policies, and procedures? Stefan Lindegaard: Any larger company needs to consider such a setup regardless of their open innovation maturity. A key reason is the fast pace of change and thus the ever increasing demand and need for innovation. VB: Are "corporate antibodies," people who want to protect the status quo, most often successful in stopping attempts at introducing open innovation into mature organizations? Stefan Lindegaard: Open innovation is very much like change management. Some people just resist change and they often succeed in stopping any attempt at change. If this occurs with open innovation, the task is just that more challenging for the executives and innovation leaders who are trying to bring open innovation into their company. VB: By the way, in following your metaphor why do you call them corporate antibodies rather than corporate bacteria or viruses needing to be treated with antibodies to neutralize them? Stefan Lindegaard: I just like the term antibodies. It sounds better and the metaphor from the biological world works well. VB: Secrecy, protection of business intelligence, and fear of loss of intellectual property seem to be inhibitors of open innovation. Are the large corporations which espouse open innovation in the main aiming to acquire intellectual property while not sharing their intellectual property? Stefan Lindegaard: No. They care about business opportunities first. If this requires them to acquire or share IP they will do so, and hopefully they will find a fair way of doing this. Some of the very large companies unfortunately still have some work ahead of them in order to create true win-win situations. VB: You say that when starting to build an open innovation organization you "will only get one-and-a-half chances to do this thing right." Is this true of most initiatives, thereby indicating that the advice often given by innovation gurus to fail early and fail often may not be sound? Stefan Lindegaard: You need to be able to fail early and often on the products and services that you intent to bring to market. This is part of an experimentation process. It is, however, more dangerous to fail often and early when it comes to organizational change. This relates back to the corporate antibodies and their general resistance to change. If they get some good arguments because corporate initiatives fail, they might gain in strength. This is a delicate matter as you of course also need to be willing to take risks when it comes to organizational change. One way to get around this is to keep the initiatives under the corporate radar until you can show success. If you fail, then no one will really know about it. VB: Would you tell us about your Danish network groups for innovation leaders? Stefan Lindegaard: I have run network groups for Danish innovation leaders over the last 7 years. A group has 10 to 18 members that meet over a period of 4 or 5 years to discuss challenges they face and get inspired by new insights given by me or guests. VB: As you point out, for a weblog to remain active the person who initiated it must enter something new and of substance at least monthly. Do you find it easy or difficult to keep dialogue going on your blog? Stefan Lindegaard: I am thankful that I do not have any problems getting inspiration for new content. A key reason is that I interact a lot with the innovation community through my blog, LinkedIn groups, Twitter and face-to-face meetings. Time, or the lack of it, is a challenge for most of us so I often fail to respond to the comments on my blog because of this. I need to improve on this as it can help make the blog even more interactive. VB: Who do you hope to attract to your blog and why? Stefan Lindegaard: I like to inspire and challenge the broader innovation community. Hopefully, I can act as a catalyst and facilitator for everyone with an interest in corporate innovation. VB: What benefits are you deriving from your blog? Stefan Lindegaard: It gives me great personal satisfaction and is also very stimulating to be able to share ideas and see how other people react to them. This is a key benefit that I really appreciate getting from my blog. The blog has also enabled me to become a voice in the innovation community, which leads to speaking opportunities. As the worst of the financial crisis seems to be over, I have also begun to pick up business opportunities through the blog. VB: You make comments about several companies whose websites don't make their interest in open innovation clear. Given that so many customers use the Internet for research when choosing a supplier and to record their experiences with products and companies, what are company executives and leaders thinking when they have websites that are poorly designed and hard to maneuver within? Stefan Lindegaard: I am quite sure these executives are not even aware of this problem. This is typical in a company where there is not enough top-level understanding of, and support for, innovation. Once executives of companies begin to understand the new paradigm of innovation in which they have to embrace external contributions, they will begin to understand the existing websites are not up to the job. Then they will likely rush to make changes, or the drive will come from innovation leaders within those companies. Some will succeed, others will not. VB: In one of your chapters you talk about the 60 second elevator pitch to sell one's vision and ideas. Would you give us your elevator pitch for why IdeaConnection's readers should buy your book? An assessment of whether YOU have the mindset and skills needed to succeed with open innovation. This is what you can get out of both my book The Open Innovation Revolution and blog. Enjoy! Author Stefan Lindegaard says companies need two kinds of people to make innovation initiatives successful. Innovation leaders, the first kind, focus on ensuring there is a mandate for innovation and on developing organizational innovation capabilities such as culture, processes, and people. "Intrapreneurs" work within the established culture and processes to turn ideas and research into products and services. He also advises that there are 9 key qualities that set these innovation leaders and intrapreneurs apart, making them a "different breed of people." Their traits are having a holistic point of view (able to see the big picture inside and outside the company), a talent for networking, communication skills, optimism, passion and drive, curiosity, belief in change, a sense of urgency, and an ability to deal with uncertainty. Speed the development of new products and services and thus increase revenues and market share. Shorten time to market for new products and services and accelerate profits. Reduce direct spending on R&D. Improve the success rate of new products and services. He facilitates peer-to-peer network groups for corporate innovation directors and managers and he is the founder and facilitator of the 15inno by the Stefan Lindegaard group on LinkedIn, which counts more than 2100 corporate innovation leaders and others interested in innovation. Stefan Lindegaard believes open innovation requires a global perspective and he has given talks and worked with companies on open innovation in Europe, the U.S. and Asia. His blog is a globally recognized destination on open innovation. 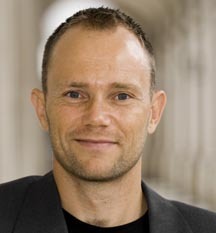 Stefan Lindegaard is the author of The Open Innovation Revolution: Essentials, Roadblocks, and Leadership Skills (2010), and Next Stop: Open Innovation (2009, Danish version only). The Open Innovation Revolution will be published in Portuguese in November 2010. Besides 15inno.com, he also shares his experiences, insights, successes and failures on how to become a thought leader and expert.